Sure you’re in OOO mode for summer, but that doesn’t mean you can’t be detail-oriented. 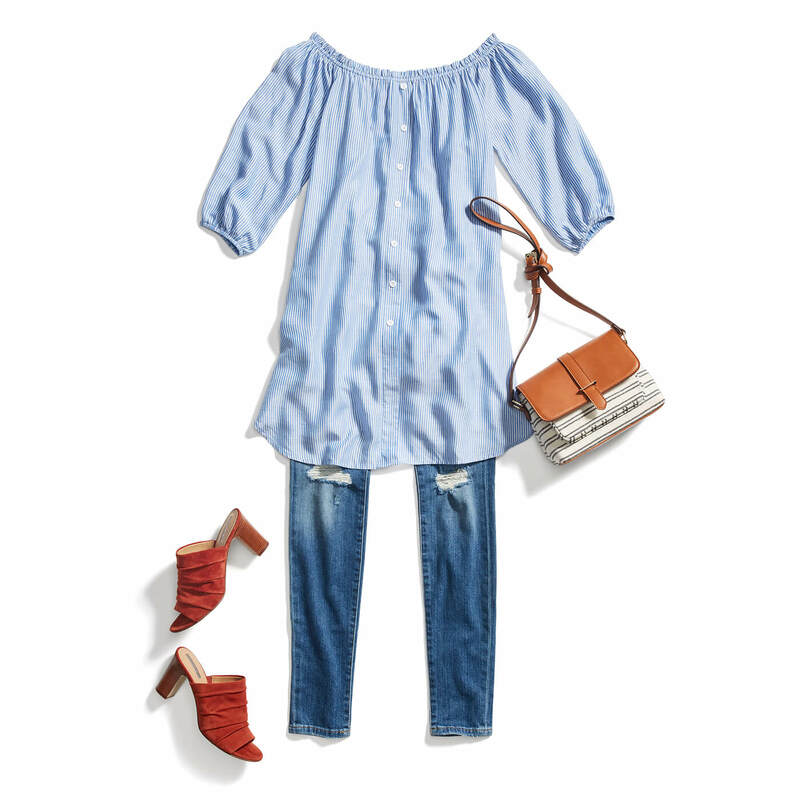 This season, we talk through how to wear two of our Editor’s favorite trends: stripes and embroidery—plus, how to wear them from beginner to advanced. It’s ok to be a beginner. You have to start somewhere! If you’re used to pairing your stripes with jeans or shorts, take a slight step outside of your comfort zone and try wearing this classic pattern with a skirt & ankle booties. Stylist Tip: Juxtapose classic stripes with a ‘70s inspired button-front skirt. Baby steps! If you’re looking to boost pattern levels without going the whole nine yards, try adding a subtle touch of embroidery (like subtle dots on your tee) to a classic summer outfit: shorts and sandals. Stylist Tip: Keep your palette neutral so the embroidery takes center stage. We know you’re up for the challenge! Try pairing a bright statement color (like these fire engine red slip-on mules) with a soft pattern (like a pinstripe tunic) for a look that’s bold but not over the top. Stylist Tip: If you’re looking to wear more than one ‘big piece’ try wearing them with a classic staple, like your favorite pair of skinny jeans. Alright, let’s take this to another level. 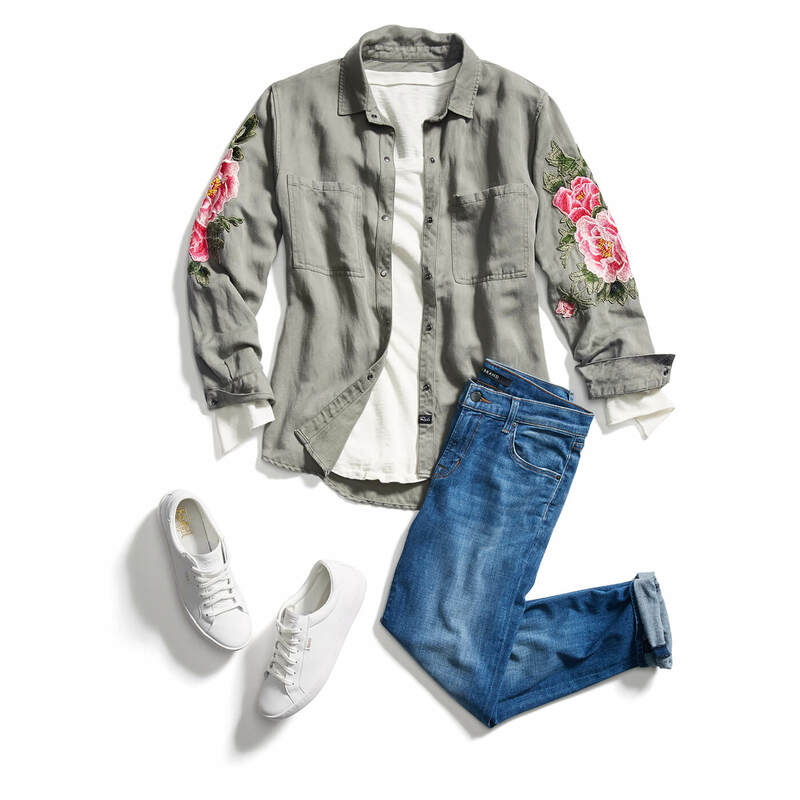 Go from casual to way cool with an on-trend embroidery cargo jacket. Any flora or fauna embroidery will add a flirty and femme vibe. Try pairing it with your favorite sneakers and boyfriend jeans. Stylist Tip: Try turning up the sleeves of your cargo over a long sleeve tee to create a layering effect. Get ready for extra brownie points for wearing details. As a detail expert, it’s no surprise you’re ready to plunge into the deep end with both bells and bows! Try pairing a flowy bell sleeve top (or any statement silhouette) with tailored trousers with a flattering front seam. Top it off with a block heel and chic clutch and voila! You’re ready to go from the office to happy hour in no time. When it comes to patterns and details, you’re a pro—this ain’t your first rodeo! 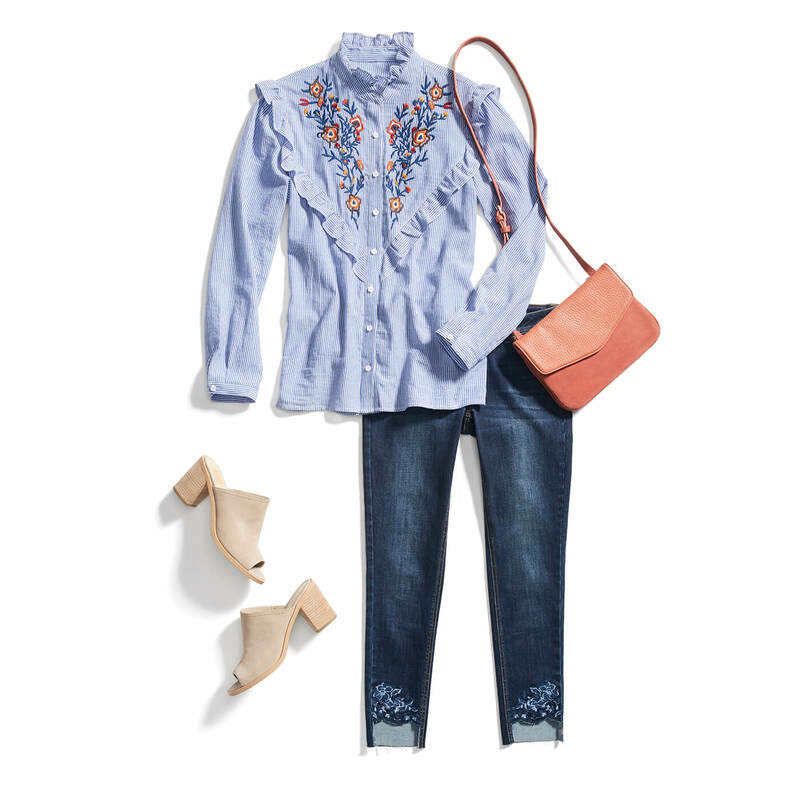 Go for a top with plenty of eye-catching details—like a ruffle collar and embroidery to boot. Get yourself in stitches with a pair of embroidered jeans too. Just add neutral accessories before you head out the door. Whether you’re a detail diva or newbie, don’t be afraid to flaunt these prints and patterns! These fun little details are meant to elevate your pieces so that you can feel uniquely you when you wear them.